He began Judo at age 13 and joined the Kodokan in 1903. By 1912, he was already a Rokudan (6th Degree black belt) and a Kodokan instructor. He was unbelievably energetic and eventually stood at the head of the Kodokan’s instructors. The speed with which he mastered the techniques of Judo can only be matched by the rapidity of his promotion. He received the grade of 10th dan on May 25, 1945, was the second youngest man to be promoted to 10th Dan, and he held his rank nearly 20 years, the longest of any 10th Dan. He was a permanent member of the Kodokan Dojo Consultative Group. He is the author of the Canon of Judo. In 1964 the Japanese Government awarded him the honor of the Order of the Rising Sun. He was the first person ever to be honored this way during his lifetime. Before his death on January 27, 1965 he was the only tenth dan alive in the world. Entered the Kodokan in 1891 and was graded 10th Dan on April 5, 1946. As a young man he was very keen to go abroad but in 1906 was asked to become Judo instructor at Keio (the oldest private University in Japan) and he remained there for more than fifty years, devoting his whole life to the work. He was a member of both the Kodokan Council and the Dojo Consultative Group. One of the two longest living 10th Dans, he joined the Kodokan in 1898 and received the grade of 10th Dan on April 5, 1948. In 1899 he became the head of the Judo Section of the Butokukai and later traveled extensively teaching at schools and police establishments. In 1931 he began teaching at the Kodokan and was a member of the Dojo Consultative Group. Came to Tokyo from his birth place, Okayama at the age of 16 to seek out the Shihan. Entered the Kodokan in 1893 and practised so hard it was said of him, “The technique is Sutemi, the man is Nagaoka.” Many of his contests are still the subject of countless reminiscences. All his efforts were poured into the training of young teachers and he was of the greatest assistance to the President of the Kodokan. He did much to gain for the Kodokan the secure position it enjoys today and was promoted 10th Dan on December 27, 1937 by Jigoro Kano, just a few months before Jigoro Kano died. He is one of only three 10th Dans promoted to that rank by the founder of Judo. He and Isogai were the first students of Kano to be promoted to 10th Dan while alive, and he was the youngest man ever to be promoted to 10th dan. He passed away on November 22, 1952. The Shihan’s assistant from the very founding of the Kodokan, he is one of the great names in Judo. He entered the Kodokan in 1884 and gained a formidable reputation from his contests with the strong men of other jujutsu schools during the Meiji period. He later went to theUnited States where he taught Judo to President Theodore Roosevelt and altogether enjoyed a colorful life. Jigoro Kano awarded him the first 10th Dan ever awarded after his death on October 26, 1935, although he dated the certificate two days before the death. Isogai died on April 19, 1947. He received the rank of 10th Dan in April 1984, the oldest person to be awarded this rank (until 2006 when Ichiro Abe was promoted at age 83). Graduated from Tokyo College of Education. He was one of Jigoro Kano’s direct students, and only the 7th man to receive a 10th Degree Black Belt while he was still alive. He was very active in promoting Judo all around the world and was the head instructor of the International Division of the Kodokan for many years, and a professor of Tokai University. He was the Kodokan’s top ranked official and Vice President of the All Japan Judo Federation. During his student days, he would practice with every powerful and skillful Judoka he could lay his hands on, rather than avoid the “beating” he knew would be coming. To be thrown, immobilized, or strangled, was nothing but delight for him. The thing that really counted was practice. He died on October 19, 1991. Entered the Kodokan in 1900 and was promoted to 10th Dan on April 5, 1948. 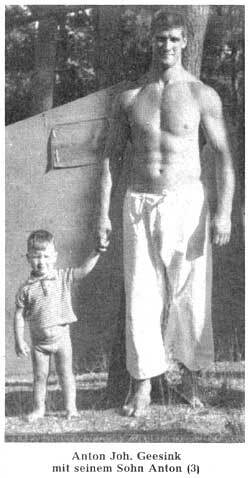 He was the third youngest person to receive a 10th Dan. From 1905 he taught at the Butokukai in Kyoto where he trained many new instructors and contributed greatly to the development and diffusion of Judo. Together with Isogai, 10th Dan, he occupies a special place in Kansai Judo. He died on May 25, 1950. Okano was born April 1885. He became the 9th man to be promoted to 10th Degree Black Belt after his death on June 2, 1967. He was the first graduated student from the Budo Senmon-Gakko (martial art school) and he became “shihan” (master of martial art) in 6th Okayama Higher School and Okayama Police. His mat technique was one of the best among the Judo world at that time. Born April 11, 1885 in Toyama Prefecture, educated at Takaoka Middle School, Fourth National Higher School, and Tokyo Imperial University. Director of the Police Affairs Section of the Metropolitan Police Board, President of the Yomiuri Shimbunsha (Japanese newspaper) and later its owner. Appointed Member of the House of Peers and elected Member of the House of Representatives. Served as State Minister. Established Japan’s first commercial television station Nippon Television Network Corporation. Started professional baseball in Japan and contributed to its development. President of the Franco-Japanese University Judo Association, Chairman of Nippon Budokan, and President of National Dietman’s Judo Federation. He is the only non-professional in the history of the Kodokan to hold the 10th Dan. He was promoted after his death on October 9, 1969. Kurihara was born in May, 1896. He became the 11th person to be promoted to 10th Degree Black Belt after his death October 8, 1979. He graduated from the Kyoto Budo Senmon-Gako (Martial Art College) and became “shihan” (Master Instructor of Judo) at Kyoto 3rd higher school. One of his impressive competitions was the May 1926 Emperor’s Cup final facing one of the young upcoming strong players, Ushijima Tatsukuma, a 26 year old 5th Dan. He won a decision here after a hard competition to take the title. 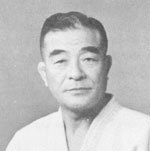 Toshiro Daigo (b1926) — Author of Kodokan Judo: Throwing Techniques, and several other judo textbooks. He has been the chief instructor at the Kodokan for many years, manager of the Japanese Judo Team at the 1976 and 1984 Olympics, an international referee, and he won the All Japan Judo Tournaments in 1951 and 1954. He had been a ninth dan since 1992. Ichiro Abe — Mr. Abe was international chairperson of the All Nippon Judo Federation. Mr. Abe is head of the Promotions Panel at the Kodokan, and also head of the International Division. He has travelled extensively in Europe, and is a former national coach of Belgium. Yoshimi Osawa — An international referee for many years, Mr. Osawa won the Fukuoka tournament in 1948. Osawa was a fabulous technician, in the eyes of some, the best ever. Despite being a lightweight, he was considered a true threat to win the All-Japan championships. 1933 photo of Jigoro Kano (center) with 10th dans Kunisaburo Iizuka (front row second from left), Hajime Isogai (rear left), Hidekazu Nagaoka (rear row second from left), and Yoshitsugu (Yoshiaki) Yamashita (rear row second from right). Note: in addition to these Kodokan 10th dans the International Judo Federation promoted Anton Geesink (NED) and Charles Palmer (UK) to 10th dan in 1997. Some countries have also made promotions to 10th dan, such as Henri Courtine in France in 2007, and Jaap Nauwelaerts de Agé in Holland in 2008. This page is copyright © 1997/2008 Neil Ohlenkamp, JudoInfo.com. Last modified November 21, 2008.